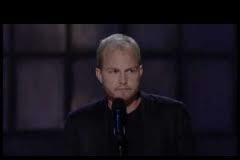 Sean Rouse was one of the breakout stars with Dave Attell, Greg Giraldo, and Dane Cook on Comedy Central’s “Insomniac Tour”. He was in Men in Black II and also on HBO’s critically acclaimed “Down & Dirty” with Jim Norton. He’s dark, even though he looks innocent. He’s likeable even though he’s highly obscene. But most of all, he’s extremely entertaining. We were lucky enough to catch up with him after one of his shows right here in Houston. Tell us about the Sean Rouse creative writing proess. More info on Sean Rouse can be found right here! Unlike many stand-up comics, Sean Rouse is FUNNY and original. One/you just needs/need to pay attention, or at least listen, to his jokes, as the religion-not-retard question shows (above). Imagine that!